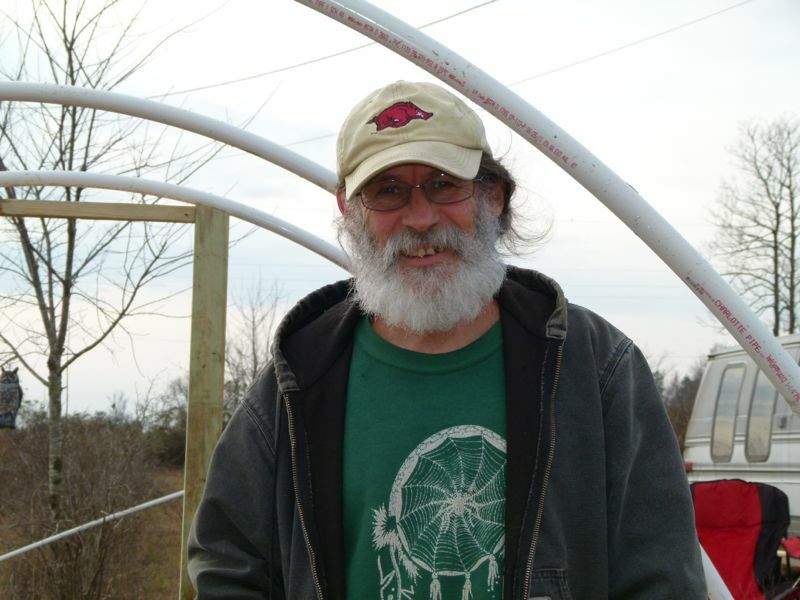 I have been a back-to-the-land gardener for the past 32 years, living and learning constantly from the land I live on. Learning to garden/farm here in the Ozark Mountains has been a challenge, as much of the land was left in a very marginal state after the heavy timber extractions that occurred in the history of this region. I have had the blessing of being able to learn from local “old timers” about how they did many things before the advent of our more recent technology infusion and what we now recognize as farming. Historical methods used to grow produce were very important to that older generation since there were no grocery stores to buy from in the the event one didn’t get to garden during the season. 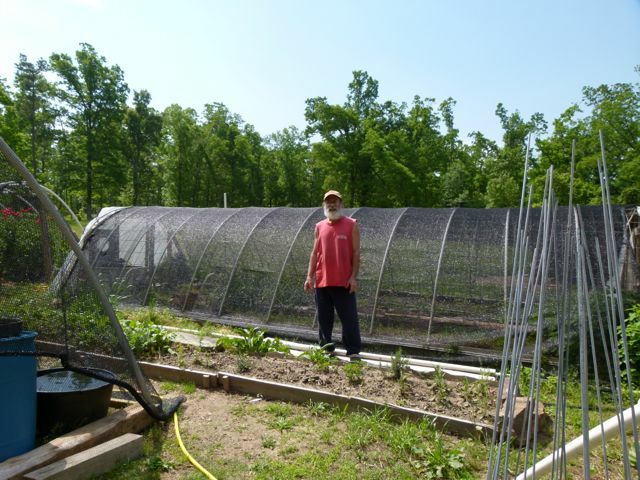 I was also an employee of Meadowcreek, Inc. from 1991-2005 and learned a great deal about sustainable methods of gardening/farming from the horticultural manager and from gardeners/farmers from around the world who came to teach workshops on different techniques that were practiced in other regions. 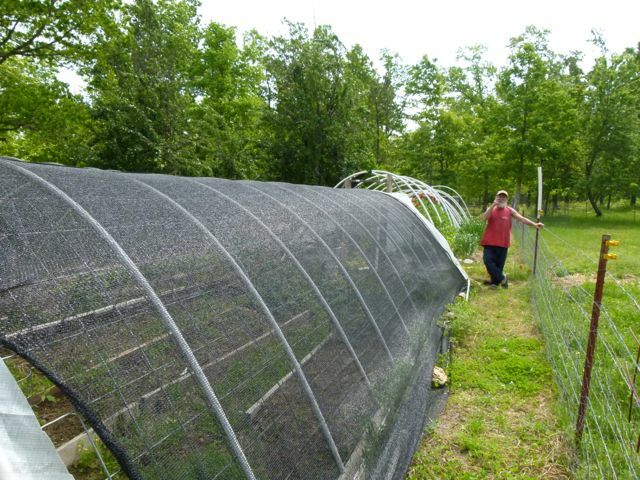 Several years ago, I began constructing simple hoop cold frames that have allowed me to raise food for my family and to create a market for a pre-sold CSA with weekly deliveries of food during the winter months. 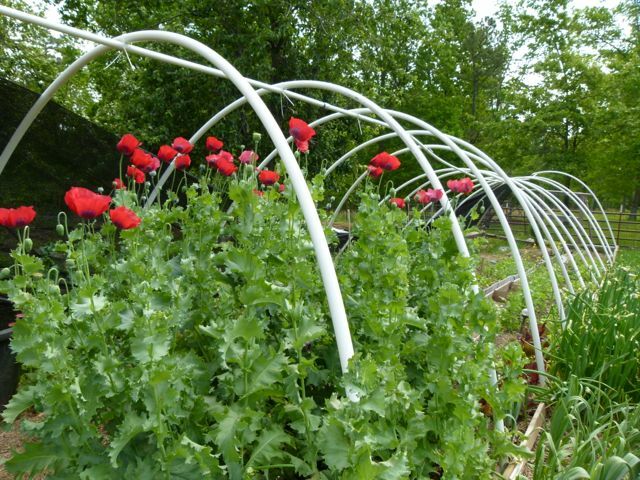 My production has been so successful that people who also want to grow produce year round at a very low cost began asking me to teach them my cold frame construction method. This developed into my hosting cold frame construction workshops. I believe we can increase access to fresh, healthy and local foods for residents of Stone County by teaching gardeners, farmers and farmers market vendors how to cheaply and effectively extend their growing seasons. I look forward to working with the Meadowcreek LINKPROJECT to make this low-cost cold frame construction method available to a greater number of people.